This metal plaque was used during the filming of the 2002 science fiction movie Minority Report. 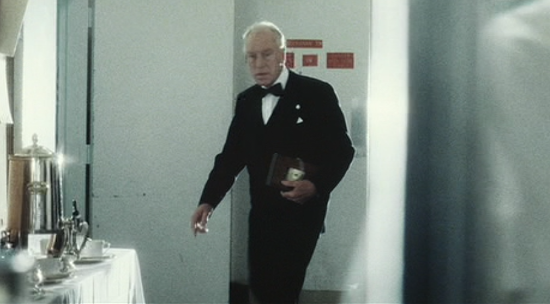 It can be seen clearly on screen on the lid of the wooden box that Lamar Burgess (Max von Sydow) is presented with at his retirement banquet during the climax of the movie. 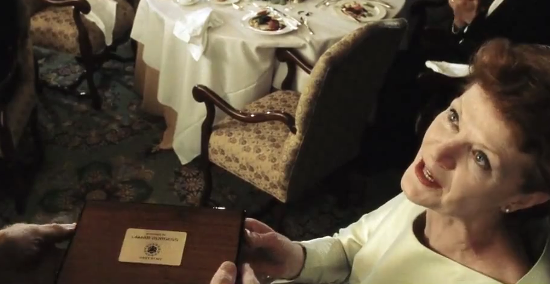 The plaque was removed from the box after filming had finished and auctioned by 20th Century Fox for charity upon the films release.